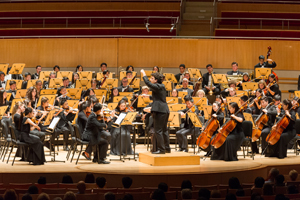 The virtuosity of Pacific Symphony Youth Orchestra, led by Assistant Conductor Roger Kalia, will be on full display for an evening of soaring symphonic masterpieces sure to thrill. Prepare to feel compelled by the regal fanfares of Wagner’s Overture to “Die Meistersinger von Nürnberg”; captivated by the homegrown Americana of Copland’s “Billy the Kid” Suite (preceded by musical excerpts from the suite that will be played and discussed from the stage); and transformed by the enveloping tranquility found in Respighi’s “Church Windows.” For the young musicians, it’s an evening of demanding works and an opportunity to shine. For the audience, it’s a chance to sit back and enjoy a memorable showcase of young talent and awe-inspiring artistry. 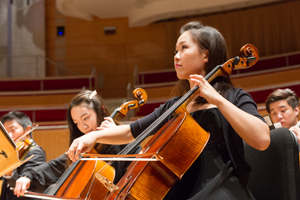 PSYO’s spring concert takes place Sunday, March 26, at 7 p.m., in the Renée and Henry Segerstrom Concert Hall. Thanks to the generosity of sponsor Carlos Mollura, this concert is free to attend, but tickets are required. To reserve a general admission seat, call the Symphony’s box office at (714) 755-5799 or CLICK HERE. “Every piece is stylistically different from the other, which makes for a program that is eclectic and unique, as well as being extremely educational for our musicians,” states Kalia. “In general, I love to program works of great variety for our audience, while also making sure that our musicians are playing as many different styles of music as possible. The music of Wagner is heavy and thick, while Copland requires a playfulness and rhythmic feel that is extremely unique to any other composer. 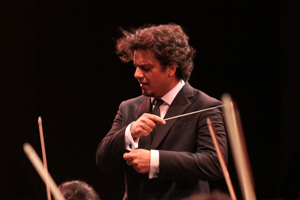 Respighi’s sound world requires power and endurance, while also being extremely intimate and nostalgic." Wagner’s Overture to “Die Meistersinger von Nürnberg” is grand and majestic in terms of its sound world. The opera, or as Wagner liked to call it, the “music drama,” was written between 1862 and 1867, but it is clear that Wagner had crystallized the themes well before it was completed. The overture, which contains the main themes, was finished long before the opera and was played several times on its own for concerts. It’s a brief, 10-minute work that combines the power of the brass with lush and rich melodies from the strings. Copland’s “Billy the Kid” Suite is a musical depiction of the American Wild West. It was originally a one-act ballet, based on a semi-fictional treatment of the notorious outlaw William H. Bonney (aka, Billy the Kid). This suite features the most famous musical numbers from the ballet. Copland quotes authentic cowboy songs such as “Goodbye Old Paint” and “Git Along, Little Doggies” and adapts them into his own unique musical language. This is Copland depicting the American sound at its finest: jaunty, irregular rhythms; simple, triadic harmonies, and intimate and grand orchestral texture.